The fall is the time when many pastors and preaching teams will gather to brainstorm and plan their next year of preaching. I highly recommend you begin doing this if you don’t already. 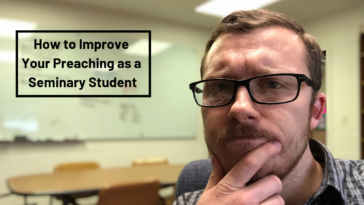 Planning a year of preaching allows you to work far ahead in your sermon preparation and will allow you and your entire team to be more creative in marketing, production, and packaging. 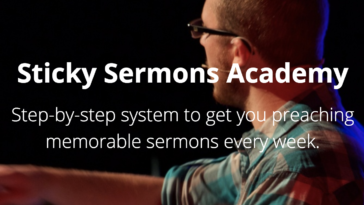 There are a lot of reasons to plan a year of sermons. And when you set aside the time to actually do so, there is a lot to consider. 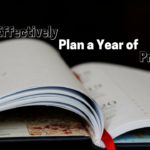 But we can also forget the most important thing when we meet to plan a year of preaching. I enjoy sermon planning. It’s a lot of fun to get a few people in a room and begin sharing ideas. It’s fun to come up with different angles to a topic or a theme in order to make a series more catchy. And today, the pressure many pastors feel to come up with compelling sermon series is magnified by the countless podcasts and YouTube videos we assume our people consume on a weekly basis. I’m all for being creative. I’m all for thinking of ways to promote a series. I’m all for creating good series bumpers that set the stage for the message and are shareable on social media. I’m all for well-crafted series graphics that create intrigue. Yes. We should do all that and do it all well. We should do it with – buzz-word alert – excellence. But. 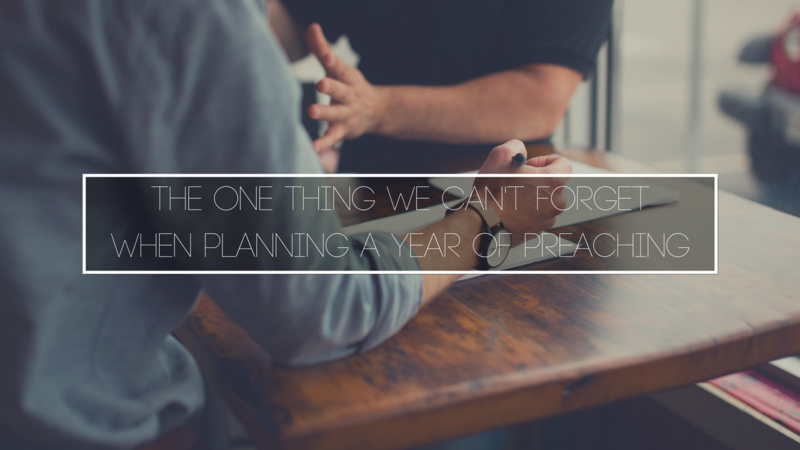 And yes, this is a big “but.” There is one thing we can’t forget when planning a year of preaching. Preach Christ. Preach the gospel. It doesn’t matter how creative, how compelling, and how excellent the series are that you come up with. 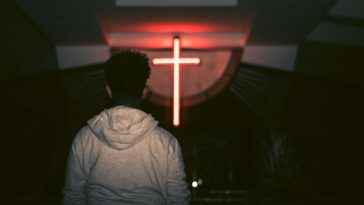 If you don’t preach Christ, you have wasted your time and you have done a gruesome disservice to the people God has entrusted you to serve and equip. If you want to do a series on parenting, don’t you dare end up offering 5 tips or tricks on getting your kids to listen and obey. People aren’t coming to church to hear what the latest click-bait article has to say. They are coming to hear from God. So when you preach on parenting, preach the justifying, regenerating, transforming, sanctifying, kingdom-heralding power of God’s gospel. Yes, your people can parent better. And the way they do that is to yield to Christ and follow the Holy Spirit’s guidance in every moment. Yes, you can preach the gospel every time and you must preach the gospel every time. Now I want to make clear for you, brothers and sisters, the gospel I preached to you, which you received, on which you have taken your stand 2 and by which you are being saved, if you hold to the message I preached to you—unless you believed in vain. 3 For I passed on to you as most important what I also received: that Christ died for our sins according to the Scriptures, 4 that he was buried, that he was raised on the third day according to the Scriptures, 5 and that he appeared to Cephas, then to the Twelve. 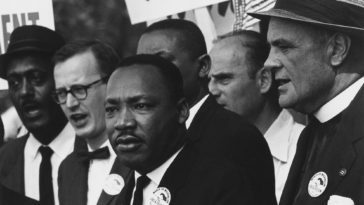 6 Then he appeared to over five hundred brothers and sisters at one time; most of them are still alive, but some have fallen asleep. 7 Then he appeared to James, then to all the apostles. 8 Last of all, as to one born at the wrong time, he also appeared to me. Christ came, died, was raised, and appeared to many, all according to the Scriptures. In other words, everything in the Old Testament was leading to Jesus – the King. Everything in the New Testament is about the Triune God’s good news for a dying world. So when we preach, we must preach Christ and His gospel. Some pastors today are great at giving marriage advice, parenting advice, singleness advice, relationship advice, financial advice, mindset advice, emotional advice, personal visioneering advice, end-times theology, etc. But such eloquent preaching on such topics, if they are not informed by and saturated in God’s gospel, brings about a sense that Charles Spurgeon describes as, “Such preaching reminds me of a lion engaged in mouse hunting.” Yikes. May we never engage in preaching that misses the mark. 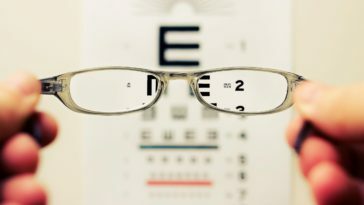 Our crosshairs ought to be on the life-changing power of Christ’s work. From there we can certainly speak to such topics listed above. But these are merely results of God’s work in us and in His Church. So, when you begin planning a year of preaching, don’t forget to preach Christ. Preach the gospel, friend. It’s the compelling, riveting, life-altering power of God. 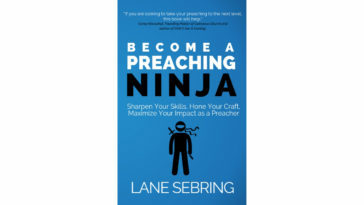 Want a practical tool to help you plan a year of preaching, map out each sermon series, and prepare weekly? Grab a copy of the Sticky Sermons Notebook.